Effective Feb 20, 2018, we are in our new location. Sun’s Kung Fu Academy: Shaolin Kung Fu Masters and Students Perform at Little Shaolin Heroes – 2nd Annual Celebration on May 29, 2016. 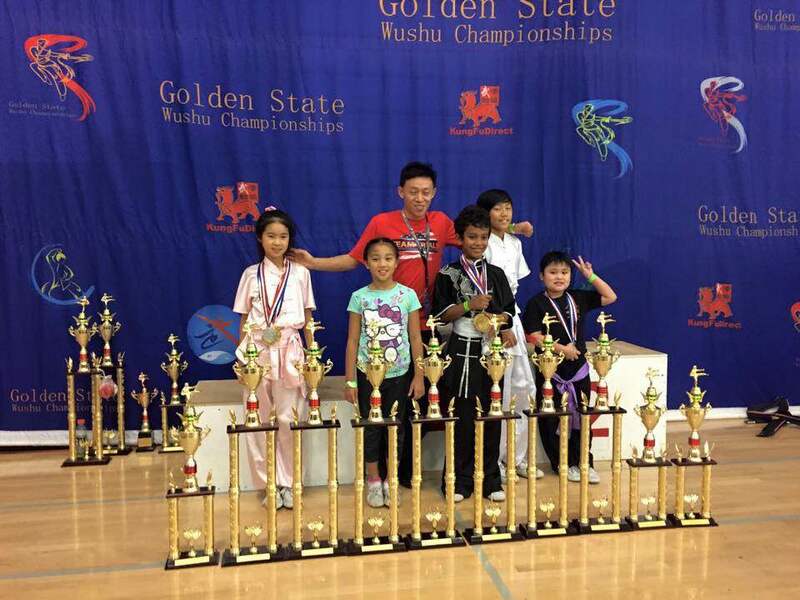 Sun’s Kung Fu Academy at Wild Aid Kids Tiger Claw Competition May 2016. Sun’s Kung Fu Academy Grand Opening Performances June 2014. Open House Performance and Celebration on Dec 13, 2014. 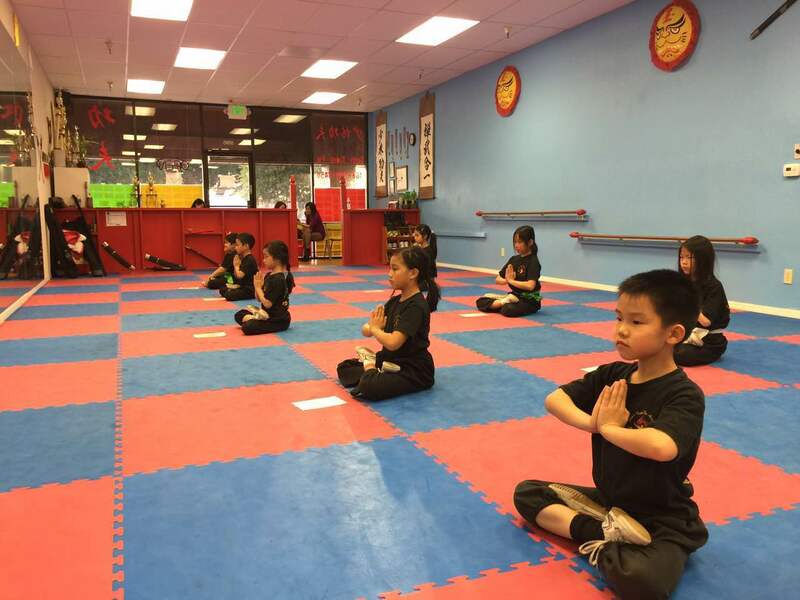 Sun’s Kung Fu Academy offers Chinese Shaolin Kung Fu classes (also known as Chinese Martial Arts or Wushu) for kids and adults in our studio located in San Jose, CA 95133. We have flexible afterschool and summer schedules. 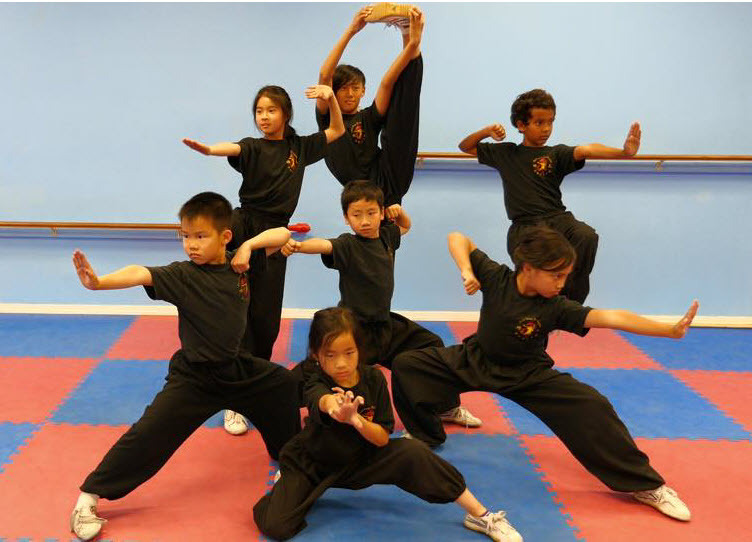 We teach a modified version of Shaolin Kung Fu (少林功夫), which is an ancient Chinese Kung Fu system, at our school. Our students young and old can achieve physical stamina and agility through learning and practicing basic skills such as stretching, push-ups, jumping, and tumbling. 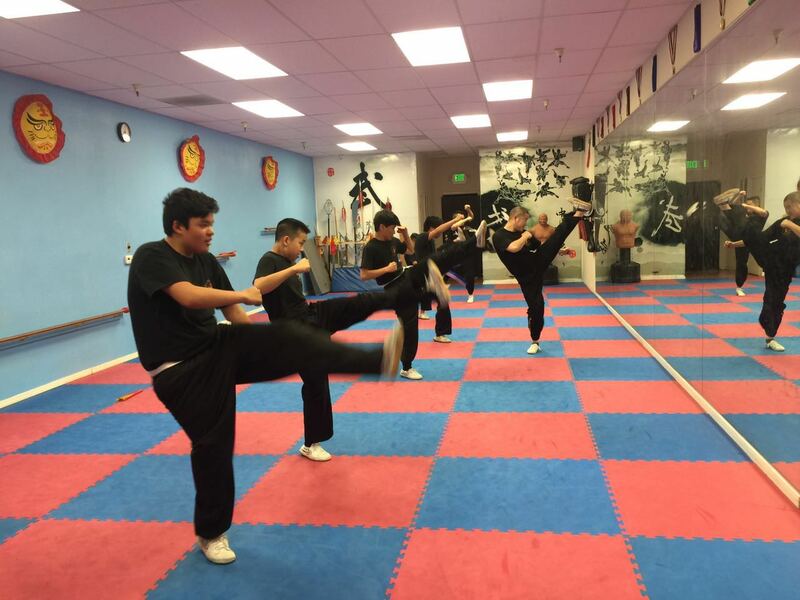 In addition, our training includes the fundamentals of Shaolin Kung Fu techniques and forms. Advanced students will also learn to incorporate various traditional Kung Fu weapons into their training to master complete mind and body coordination. Through regular training and a consistent regimen, students acquire self-confidence, self-discipline, mind and body fitness and wellness. Sign up for a FREE trial class here. Want to give it a try? We welcome you to join our FREE trial class. Sign up here. Take a look at our class schedule here. We offer classes on weekdays and weekends for children and adults from beginner to advanced levels.